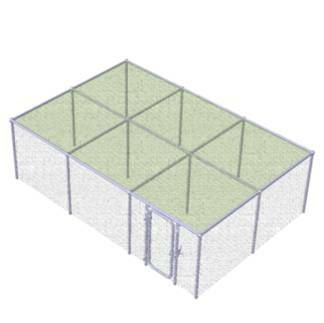 Our modular Fruit Cages are one of the most robust available in the market today. 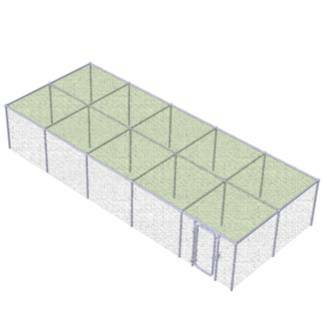 The fruit cage framework is made from high-strength (Z35) pre-galvanised tube, with an outside diameter of 25mm x 1.5mm wall thickness. 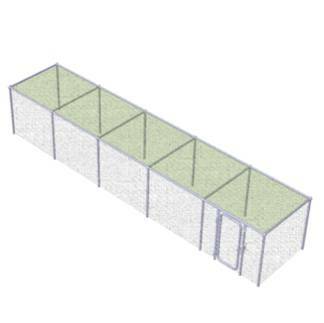 The joint components which we use to assemble the Fruit Cages are our own unique design and, to ensure consistent quality, are manufactured by Robinson Polytunnels. 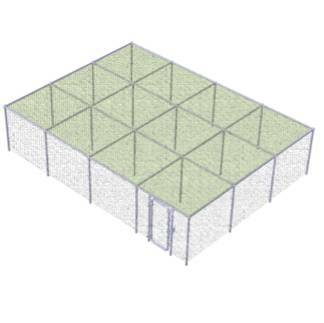 Our Fruit Cage Kits are provided in 2.5m square modules to quickly and easily cover a larger area of fruit crops. 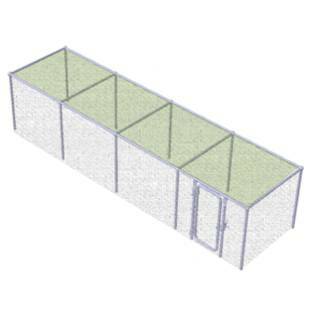 With an overall height of 2m, this gives plenty of room for you and your precious crops. 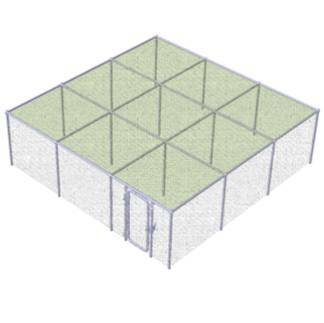 We also offer a range of Fruit Cage Kits in a more robust 2m grid. 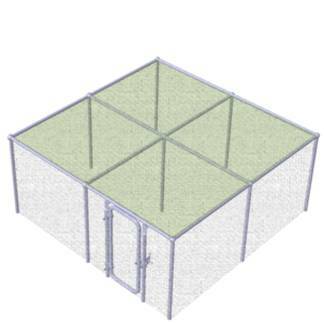 The Fruit Cage Kits are supplied complete with woven top net, extruded side net, complete door, net fasteners, ground staples for the side net and all required fixings. 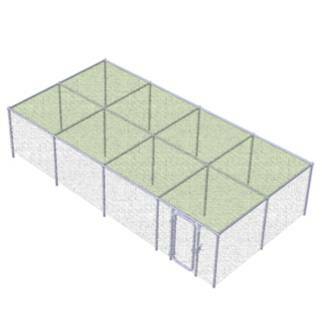 The Fruit Cage has separate foundation tubes for easy construction of the framework. These swaged foundation tubes are hammered into the ground and the vertical tubes of the framework slot straight on top, giving a virtually seamless joint. 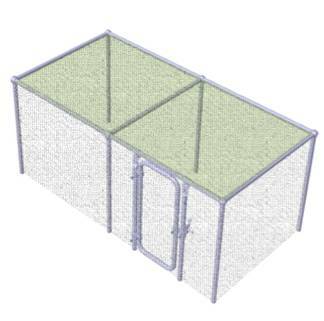 The door is 80cm wide and is supplied with its own pair of posts so that the door of your fruit cage can be positioned anywhere you like. 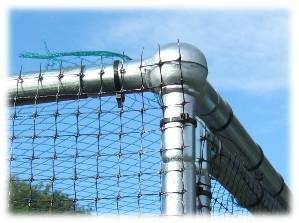 The netting that we use for the top of the fruit cages is a knitted HDPE tape with a mesh size of 17mm to stop the smallest of birds. This is obviously UV stabilised and rot-proof. 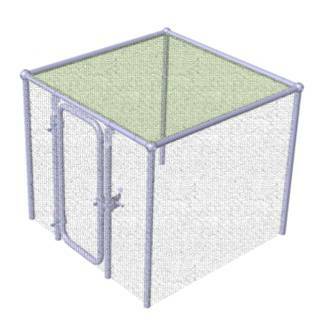 This netting was specifically chosen for its high strength-to-weight ratio. When tested, we found that this netting held together much better than heavier and more expensive options. 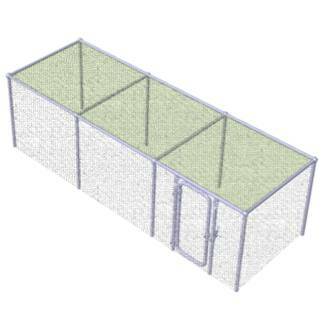 The fruit cage side netting is an extruded polypropylene with a mesh size of 17mm square. 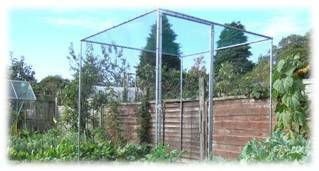 This netting also has a high strength-to-weight ratio and is UV stasbilised. 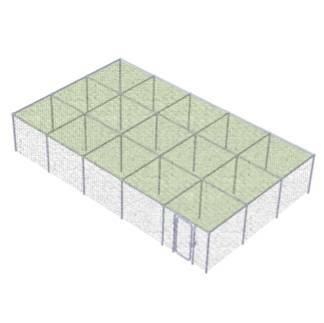 The side netting is supplied in a 2m wide roll and is virtually self-supporting which we find makes it very easy to fit to the fruit cage framework. Click here for Fruit Cage Assembly Instructions.